The new builds can be downloaded from the Apple Developer Center, or via an over-the-air update for devices enrolled into the testing program. Public beta versions are usually released a few days after the developer betas are provided for testing. 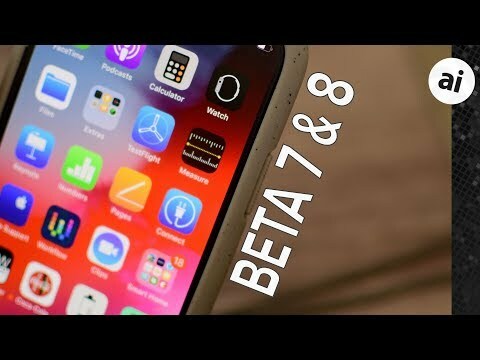 The ninth iOS 12 beta is build number16A5362a, replacing the eighth build's 16A5357b. The version number for iOS 12 is out of step from the rest of the operating systems, as Apple released then withdrew the seventh beta, then released the eighth beta two days later as a new version, rather than as a re-issue of the seventh. The eighth developer beta for macOS Mojave has build number 18A371a, up from the seventh build, 18A365a. Productivity plays a big part in macOS Mojave, with Stacks graduating from the dock to the desktop, allowing for files to be grouped into relevant piles by type automatically. Finder receives a Gallery view that displays media and metadata, as well as links for contextual quick actions that can perform predefined changes to files. 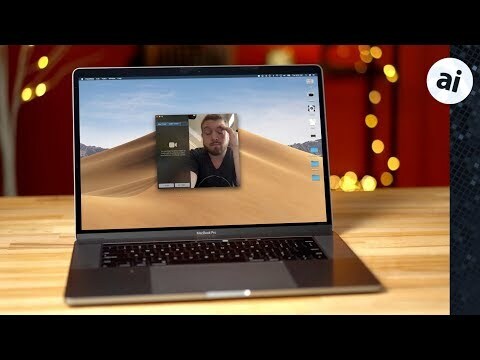 The new Continuity Camera function allows for users to use the camera from an iPhone or iPad to insert a photograph live into a macOS app. The shot automatically transfers to the macOS app without needing the user to manually send the image file across, such as by using AirDrop. Part of an ongoing project to make iOS apps usable in macOS, Apple's first attempt involves converting a few of its own apps. News, Stocks, and Voice Memos have been ported from iOS to macOS in this way, along with the Home app, allowing users to manage their HomeKit network. The eighth tvOS 12 beta is build 16J5355a, replacing the seventh build 16J5349a. 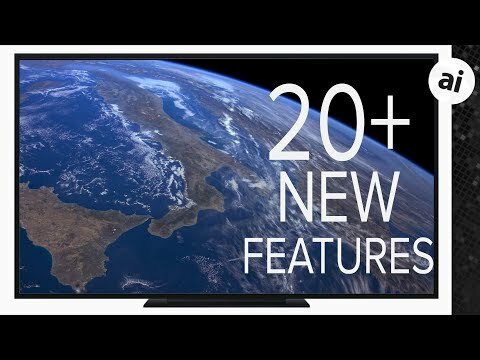 Support for Dolby Atmos surround sound is included in tvOS 12, an audio technology that locates sounds in 3D space without relying on discrete audio channels. A number of home control systems will add support for the Apple TV, as well as that of Siri interactions. The inclusion of cross-device Autofill will allow users to sign into apps on the Apple TV using existing log-in details from an iPhone or iPad, saving them from having to enter them a second time. For some cable services, Single Sign-On could become Zero Sign-On, with the Apple TV automatically signing users into channel apps after detecting what provider's network is being used, and their channel package. A number of cable operators have announced they want to use Apple TV as an alternate to the traditional set-top box, with Charter Spectrum intending to do so later in 2018, along with France's Canal+ and Switzerland's Salt. The famed Aerial screensaver will get a new "Earth" view, showing the planet as filmed from the International Space Station. Also, users can also see more details about pictured locations by swiping and tapping their Apple Remote. 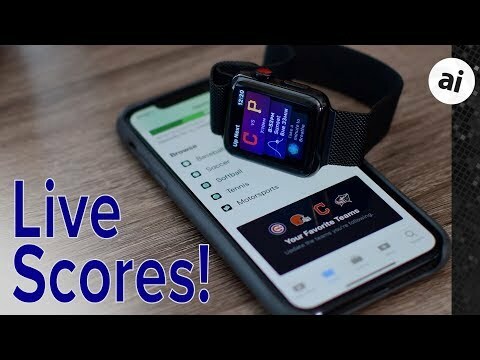 Apple's eighth developer build for watchOS 5 is number 16R5357a, replacing the seventh's 16R5349a. A big change to watchOS 5 is the inclusion of the Walkie Talkie app, which provides push-to-talk communications with a contact's own Apple Watch. Pressing the on-screen button opens the line, with speech from the sender played through the recipient's Watch speaker. For avid fitness users, they can sign up for week-long activity competitions against their contacts, with awards and progress updates shared between participants. Specific types of workouts are allowed in the mode, including hiking, yoga, and 12 others, while running outdoors will provide pace alerts. Lastly, there's now automatic workout detection, and a stress detection function that can alert the user if the Apple Watch determines they have stopped working out. Update: Public beta versions of iOS 12, macOS Mojave and tvOS 12 are also available. Let's hope that now the nVidia RTX 2080 Ti is announced Apple will take another look at being more agnostic in the eGPU support. We can hope. "Siri Shortcuts, MeMoji, and third-party map support in CarPlay are also included." Is this true? I am not getting 3rd party CarPlay map functionality. You've reported this before but it hasn't been true.